The arrival of a brand new baby boy or girl can be the most magical of moments. As the new parents settle in for the journey of parenting (and boy, is it a journey! ), it can mean the world to send kind wishes along with a precious keepsake. We love the idea of gifting Willow Tree figures to new families as they enjoy the first smiles, tears, and laughter of parenthood. Sent with a thoughtful note, these collectibles can mean so very much to a growing family. 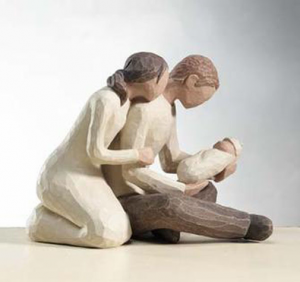 ● Willow Tree Our Gift: This beautiful set of mother, father, and baby embracing celebrates the whole family. ● Willow Tree The Quilt: Perfect for displaying in the nursery, this mother rocking a new baby under a colorful quilt promises love, safety, and peace. ● Willow Tree Two Together: The arrival of twins celebrated beautifully in this set of two babies at play. ● Willow Tree New Life: The wonder of new life is captured in this set which features a mother lovingly gazing over the shoulder of a father holding a brand new bundle of joy. Any of these Willow Tree figures make for a wonderful new baby gift for a family celebrating new arrival(s)! Traveling to a new destination can be very exciting and filled with memories. But once you’re back home and the routine has returned to normal, it can leave you missing the experience. 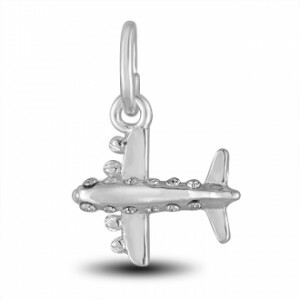 However, having a memento to commemorate your vacation can make it all the easier to take the trip back (in memory at least!). Mix and match all of the charm recommendations above to make a perfectly themed DaVinci bead bracelet that celebrates a recent voyage. Just make sure to leave room on the charm bracelet for future adventures. After all, there’s a whole wide world out there to explore!